• You may draw on your own sidewalks or hire your own artist to do so. Just let us know so we don't assign your sidewalk to others. Free! Tell us by August 20. • We will hire an artist to draw your logo on your sidewalk. even if you are not a food business! We will produce a Chocolate Menu that will appear on the NSA website, on flyers in stores, and handed out during the event. Your listing will include the item, the price, the name of your business, your address, and the hours you will be selling that day. 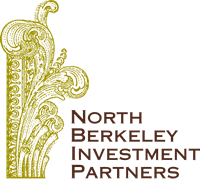 You must be located within the North Shattuck BID District to participate. 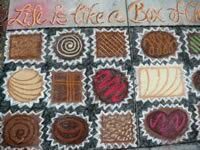 We hope you will prepare something unusual and fun, have a chocolate item specially made and prepackaged as a promotional item for your non-food business, or decorate your windows with brown & white for the Chocolate & Chalk Art Festival. Chocolate salami? Chocolate sushi? Carob dog biscuits? Chocolate roses? Chocolate manicures? Chocolate tacos? Chocolate-colored shoes or dresses? Chocolate cookbooks? Dark chocolate and kid items wanted, too! • Event attendees will purchase $1 chocolate tickets prior to the event or at ticket booths on the day of the event that they can use to buy items listed on the menu. • ABS will redeem them for 50¢ each after the event after we collect your tickets the following Wednesday. For example, if you list a brownie for $2, you will collect 2 tickets and we will pay you $1. Please do not take cash for your item, only tickets. Don’t miss the MENU deadline! Get a really big chocolate rush for your dollar. See all of the opportunities including becoming the exclusive Chalk Art Prize Sponsor.